Sharing the same blade hiding innovation found in the T6 Tech shovel, the T-Wood Mini ups the ante by using a sawzall blade instead of a snow blade. So yes, as the name might imply, you can cut wood with this thing. Useful in many situations that might arise while camping, the blade also cuts snow easily for making blocks or shear testing. Last but not least, it's a durable avalanche rescue shovel, though let's hope you don't have to use it as such. 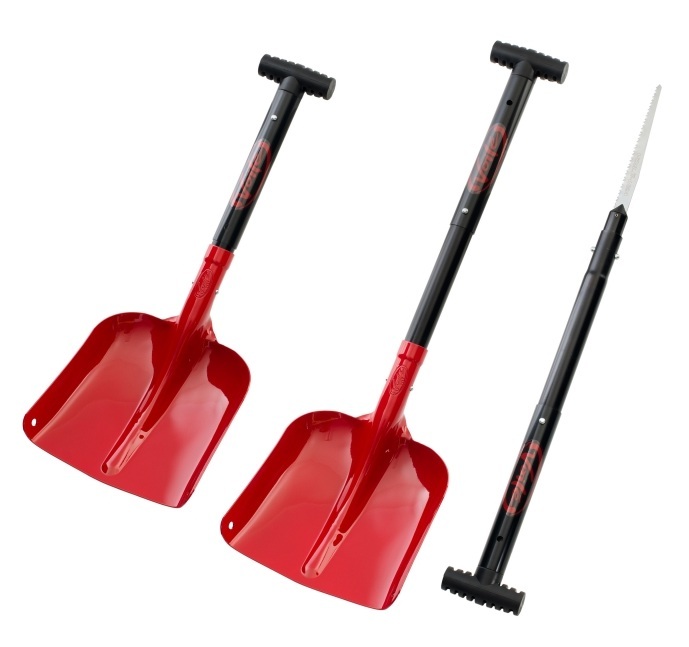 Telescoping handle is easily stored in a pack but adds leverage when you need it. "Saws all" blade hidden in the handle can be used to cut snow or wood. Saw can be used alone or attached to the handle for extra reach. 9.6in x 9.4in (24.5cm x 24cm) tempered aluminum blade can move some snow. Notes Wood cutting blade hidden in the handle.